What, I believe, has been overlooked in the Murray Darling irrigation area discussions are the importance of healthy soils. If we can put somewhere between 10% to 15% of water back to the environment without affecting the productivity of the irrigation area, what a result that would be for our food bowl, rural Australia, and every Australian. 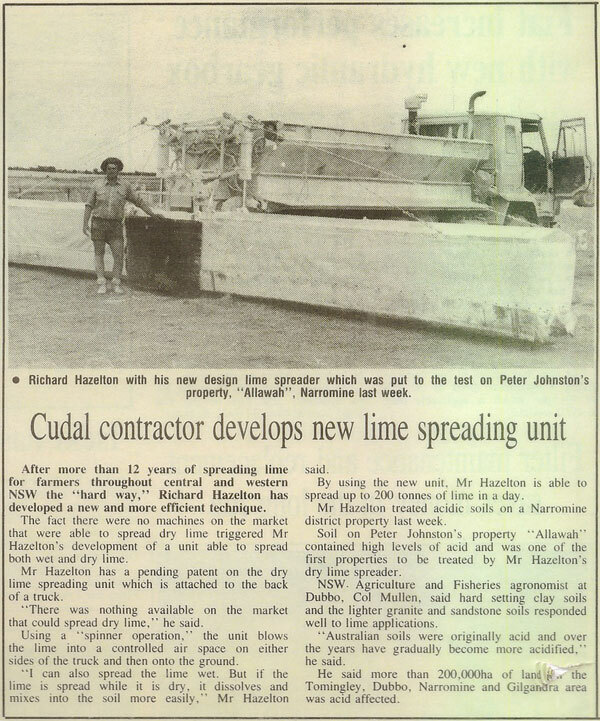 In 1979 I started a fertilizer spreading business, and 20 years later we were the largest spreading contractors in the state of NSW. 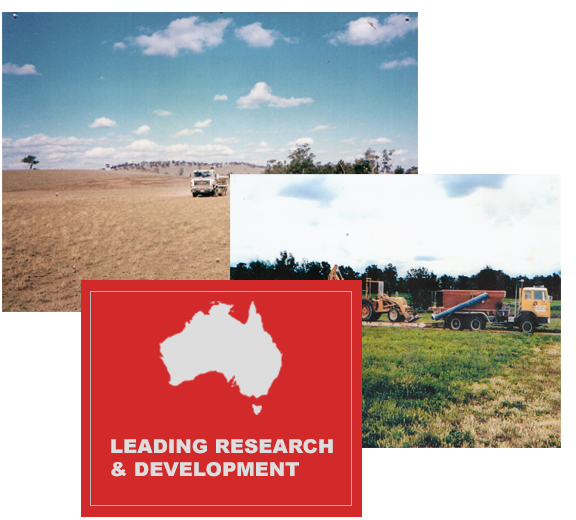 The reason for our rapid expansion was innovation. We made purpose built conveyors to add 8% moisture to the lime. This eliminated the dust problem, stopped the fine lime from blowing away and allowed us to spread a wider pattern. After much trial and error and reversing the spinner, we built unique spinners and frames for spreading the moist lime. This eliminated the dust problem, stopped the fine lime from blowing away and allowed us to cover a wider pattern. 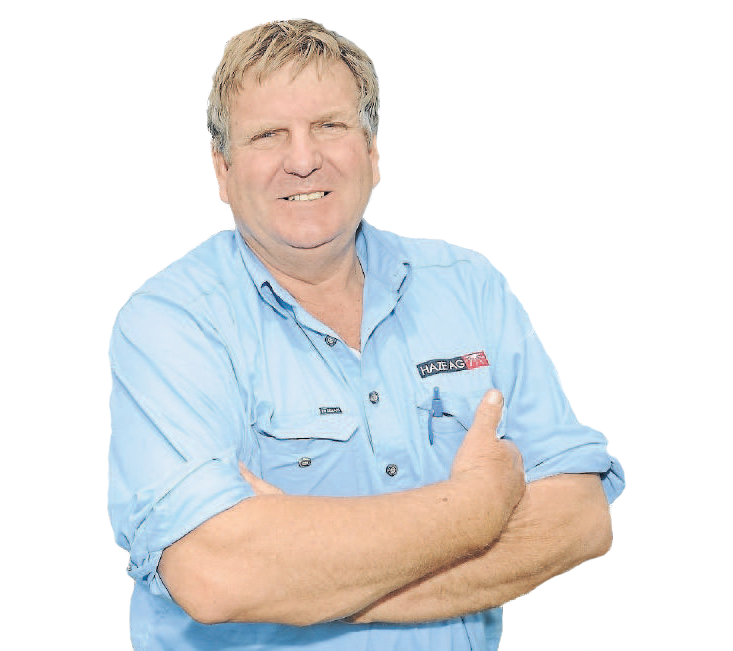 ‘I’ve developed fertiliser and lime spreader technology unique to the market, with a huge range of operational and maintenance benefits. During my 40 years in the industry I discovered vast inconsistencies in spreading applications, plus a lot of problems with the design of the bins and spinners available on the market. Disappointed by how little research and development had been put back into the industry, I decided to develop my own spreader. I’ve spent many years creating the cost effective and innovative machines you see here. I’m sure you’ll agree that there’s only one yardstick for the effectiveness of a spreader: How well it disperses fertiliser inconsistent, even spread patterns, without harming the product. Haze Ag's extensive research found that variable sized cones greatly improve the timing of your product as it leaves the disc. 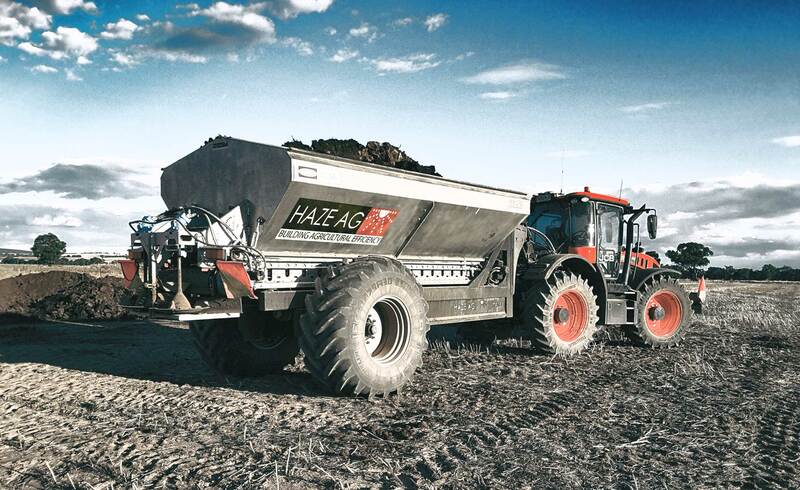 Haze Ag spreader technology allows you to spread everything from chicken and feedlot manure to urea … in fact all the granulated products. Including hydrated lime, roadbase and sand. We also found that with optimising the blades the negative pressure, drawing your product onto the disc produces a controlled spread of up to 50 metres.